Should Blacks Own Coal Mines In A Global Warming World? Blacks do not own any of the energy infrastructure and resources in the United States. And sadly, that includes coal from public lands. AAEA acknowledges global warming as the most important environmental issue facing planet Earth today. We also acknowledge that Blacks do not own any of the fossil fuels that power our nation AND contribute to global warming. Traditional environmentalists care about global warming, but care not a bit about the lack of African American ownership in the energy sector. Yet 50% of America's electricity is produced using coal. Although we are deeply concerned about global warming, we are disturbed by the lack of Black ownership in the energy sector. According to the U.S. Department of the Interior, 40 percent of the coal used in the 50% used to produce electricity comes from public lands. Blacks hold none of those leases. 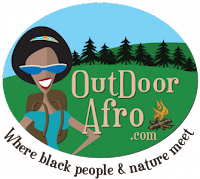 Note to environmentalists who will condemn us for promoting African American ownership of coal: Blacks should not own coal when America stops using it. Moreover, Blacks shoud not own coal when environmentalists cut their electricity use by 50%, representing the percentage that coal provides in producing those electrons. 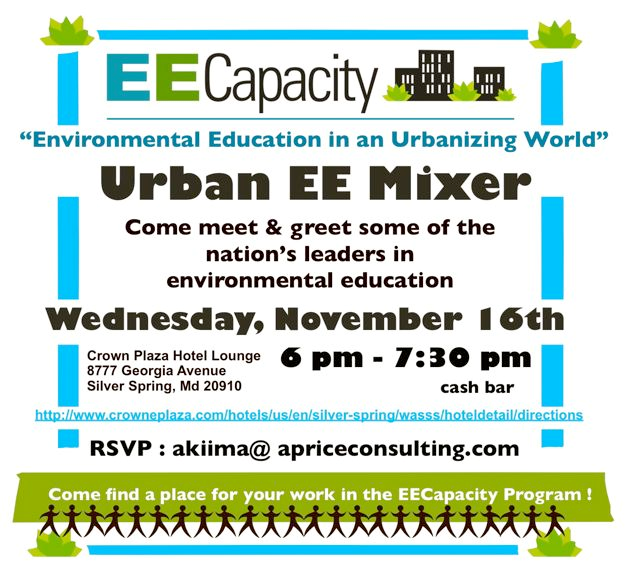 There is a major dilemma here and AAEA is the only environmental organization promoting African American ownership in the energy sector. Overall U.S. coal production has dipped slightly since 2008, and federal coal leases have fallen more sharply. Coal production totaled 1.17 billion short tons in 2008, according to the Energy Information Agency. It declined to 1.074 billion tons in 2009 and last year reached 1.084 billion. 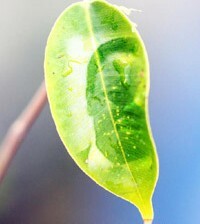 It is expected to be roughly 1.08 billion tons in 2011. The number of tons the government leased each year over the past three years has averaged 272 million. 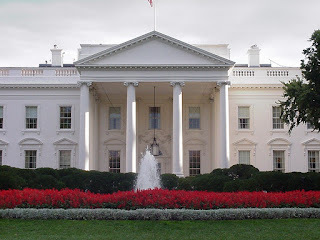 The Bush administration, by contrast, leased an average of 515 million tons annually between 2002 and 2008. 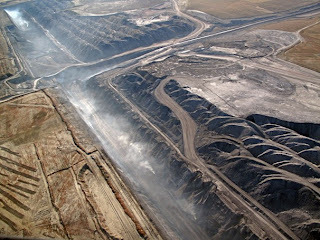 But federal royalties are rising, reaching $701 million in fiscal 2011.The center of gravity for coal production in the United States has shifted over the past few decades for both economic and environmental reasons, moving from central Appalachia to the Powder River Basin in Wyoming and Montana. Central Appalachia now produces just 17 percent of the nation’s coal compared with 70 percent in the 1970s. Powder River Basin coal is classified as subbituminous. If the federal government can reap $701 million in royalties from coal, why shouldn't Blacks also reap some of those financial beneifts. With unemployment at about 17% in the Black community, coal mine equity could provide much needed jobs. Blacks should also have ownership in the transport of coal and coal export terminals. If you are driving along Interstate 95 in Baltimore, just look over at the port area and you will see mountains of coal. This is a recent development and illustrates the importance that coal export is becoming to the coal mining industry. There are plans to build new coal export facilities in Washington State. 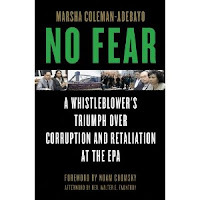 I just finished reading "NO FEAR: A Whistleblower's Triumph Over Corruption and Retaliation at the EPA," and not only was it riveting, it took me back to those heady days of the early 1990's. 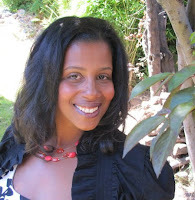 Marsha Coleman-Adebayo's story is one of tragedy and triumph. It is tragic because a brilliant person's career was ended at the U.S Environmental Protection Agency. 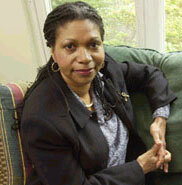 It is triumphant because Marsha took on arrogance and beat it like a rag doll. I could not be more proud of Dr. Adebayo for finally documenting her experiences at EPA during the Clinton/Gore/Browner administration. However, my pride in Marsha is tempered by the fact that her victories did not come without a very high price and her tormentors have only been rewarded for their roles. This book is very personal to me because I lived through much of it with Marsha. I hate to say it but our two decades old friendship was incubated in the demise of her career. I am to this day baffled as to why EPA Administrator Carol Browner did not become an early ally of Marsha, but instead chose to become her nemesis. After all, Carol and Marsha worked closely together in EPA's participation in a global women's conference in China. I still remember the look on Marsha's face when she informed me that Browner turned her back on Marsha's plea for support in achieving justice at the agency. However, having been around Washington, DC for over three decades, I've seen how power affects people when they breathe that rarefied air inside of our powerful institutions. Women will turn on women and Blacks will turn on Blacks, but white men seem to always come out on top. And the first Black president will bring an administrator whose administration was convicted of racial and sexual discrimination back into the White House as a climate czar. But President Obama, in his inimitable political style, and probably as a result of Marsha's work, also appointed the first black woman as EPA administrator and appointed a black woman to head the EPA Office of International Affairs (source of Marsha's troubles). Fate does seem to have a sense of humor. Everyone should read this book because it is a textbook on not only how relationships work in powerful agencies, but also how an 'uppity' Black woman can triumph over racial and sexual discrimination when that beast raises it ugly heads. Part of me was not necessarily looking forward to reading about the trial where Marsha won her discrimination lawsuit against EPA because I thought it would be boring, but when I dove into it, it was riveting. I could not stop reading. It turned out to be the most interesting part of the book. 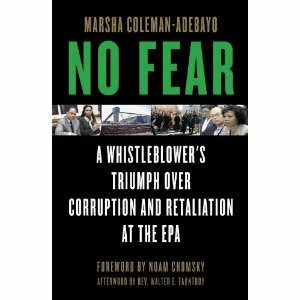 "NO FEAR" details every step of Marsha's academic rise in obtaining an MIT Ph.D., to her unjust firing a decade after her fight began. This book shows how even if you have the academic credentials and drive to excel at your job, your career will be destroyed if you choose to 'blow the whistle' on any issue that the institutions feel must be protected. In this case, it was vanadium mine workers. Marsha wanted EPA to help them and, evidently, the U.S. government valued the mineral more than the health of the miners. Carol chose to go along with corporate/mineral/government interests and she has been wildly rewarded for her loyalty. Marsha did not go along with the systematic poisoning of vanadium mine workers in South Africa and her career was terminated. The sad thing is that there had to be middle ground where everyone could prosper. Marsha's struggle is not over. If you want to experience the most interesting literary roller coaster ride I have ever experienced, you will read Marsha's book. Thank you Ngozi for including me on the ride (and putting me on the book cover). I would not have missed it for anything. Oh, and I cannot wait to see the movie. The Occupy DC folk have partnered with Marsha Coleman-Adebayo and the No Fear Coalition to incubate an Occupy EPA movement. Of course, the holiday season is muting the occupiers IMO. Plus, global warming has kept it warm, but the entire Occupy Movement will be tested during the cold of January and February. Yet I suspect they are not going anywhere. And the folk at EPA do not seem to care too much about the budding movement down at Freedom Plaza in Washingtion, DC. I've been down this road before. Funny things can happen when you ignore the streets. 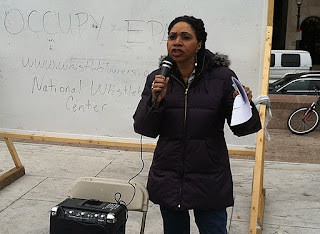 Will Bill McKibben join with Marsha and the Freedom Plaza Occupiers? Inquiring minds want to know. Let's just say that Earth Day will probably be very interesting in 2012. The Keystone XL pipeline is like a Twilight Zone episode. One minute it is dead and the next minute it is alive and the next minute it is dead. 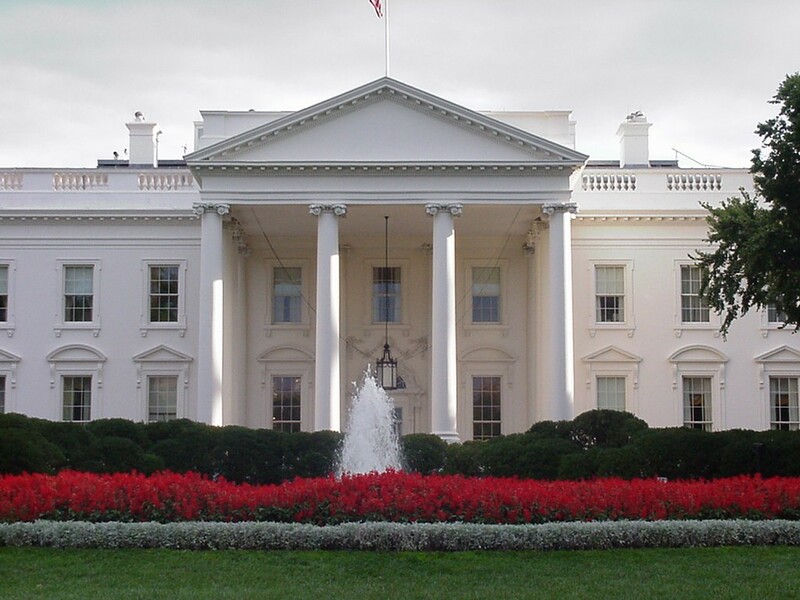 Greenies surround the White House and scare the president into punting on the project. Industry and Republicans hit back with legislation tied to a payroll tax holiday and unemployment benefits. Rod Serling would be right at home on Capitol Hill. The Keystone XL pipeline will get built, but approvals will have to wait until after the 2012 elections. It is just a political football until then. If pipelines are to be built, we want some African American ownership. For the Keystone XL pipeline is but a small part of the thousands of miles of pipelines that will be needed if America is to meet its voracious energy demand. Virginia Uranium wants to mine uranium in Virginia. I like to write that. There is a pretty big deposit of the radioactive mineral near the North Carolina border. 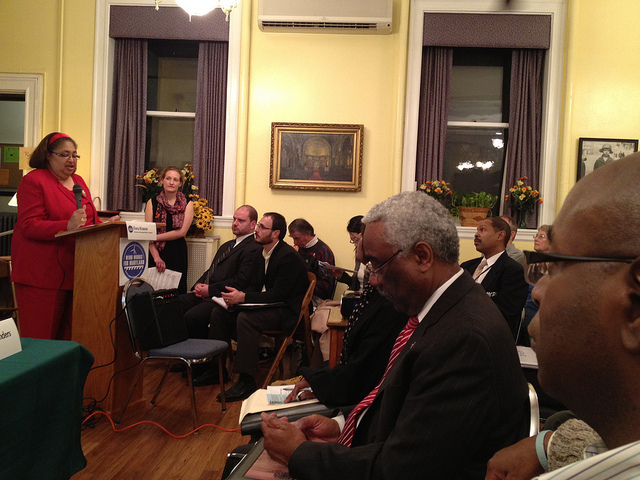 The NAACP has come out in opposition to the project siting environmental justice considerations. We are pro nuclear, but our jury is still out on this project. Will the nuclear industry get serious about community concerns, or will they simply try to blast their way through the Virginia legislature. Inquiring minds want to know. Hydraulic fracturing could provide all of the natural gas we ever dreamed of having. EPA should finalize a years-long study in 2012 that will determine the environmental impacts of fracking. A preliminary EPA report on fracking in a small town in Wyoming has found contaminants in groundwater. The fracking industry disputes the findings of the report. Ultimately, America might have to decide whether having all the natural gas we want is worth contaminating some groundwater sources. We have established criteria for evaluating fracking projects. I guess that is enough musing for this week. Merry Christmas and Happy New Year. 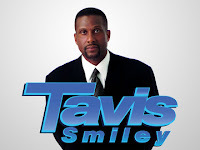 The nationally televised discussion, “Remaking America: From Poverty to Prosperity”, will be held from 6:30 p.m. – 9 p.m. Thursday, January 12, 2012, at George Washington University’s Lisner Auditorium, 730 21st St. NW, Washington, D.C. The event, sponsored by WK Kellogg Foundation and the AARP Foundation is free and open to the public. During the LIVE broadcast on C-SPAN, panelists will discuss solutions for restoring America's prosperity. Additionally, the participants will discuss a forthcoming White Paper from Indiana University’s School of Public and Environmental Affairs (SPEA), to be released earlier in January, which reveals the "new poor" and how the face of poverty in America has changed. Panelists include: Cornel West, Princeton University professor and author; Suze Orman, America’s leading authority on personal finance; Michael Moore, Academy Award®-winning filmmaker; Barbara Ehrenriech, prolific author of Nickel and Dimed: On (Not) Getting By in America; Jeffrey Sachs, poverty expert and Professor of Health Policy and Management at Columbia University; and Vicki B. Escarra, President and CEO of Feeding America. Additional panelists to be announced. "This is a human right. 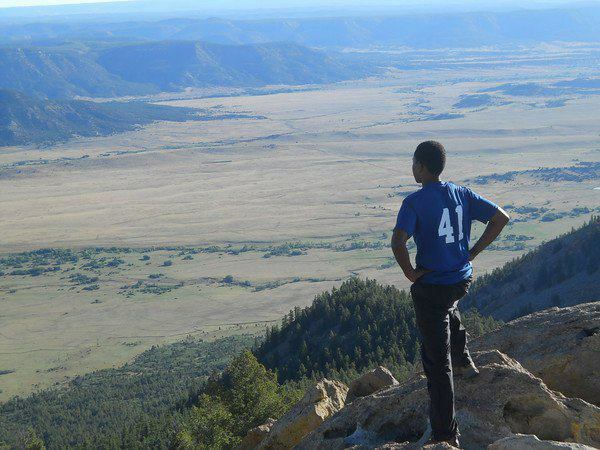 The NAACP is about human rights and environmental justice. Unemployment ranges from 12 percent to 22 percent in Danville and Martinsville, the two largest cities in Southside Virginia. Still, the mining jobs are not the answer. There is no amount of money that is worth the price of your children." 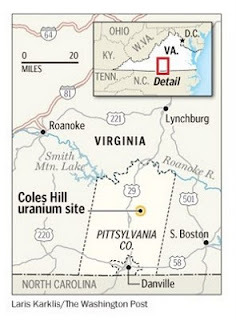 Virginia Uranium Inc. is proposing to mine the 119-million-pound deposit in Pittsylvania County near the North Carolina line. It is believed to be the largest known deposit in the U.S. and the seventh-largest in the world. Virginia has had a moratorium on uranium mining since 1982, when the General Assembly first took up the debate over allowing uranium mining in the state. The accident at Three Mile Island several years earlier dampened enthusiasm for nuclear power and yellowcake, the leached powder from the ore that fuels nuclear power plants. The National Academies of Science is expected to release a study in December on the impact of uranium mining statewide. While it will not recommend whether Virginia should end the ban, the General Assembly is expected to rely heavily on the report's contents in deciding whether to take up the issue in 2012. The Sierra Club and the NAACP said the economic boost mining would deliver overshadows its potential environmental impact. According to Mary Rafferty, an organizer for the Sierra Club, "They want good quality jobs and they see a uranium mine as a deterrent to economic development." Muse-Hodge cited a study that concluded that catastrophic flooding near the mine or the area where waste would be stored could release radioactive contaminants into tributaries that feed Lake Gaston, a source of drinking water that supplies the resort city and several other Hampton Roads municipalities. Virginia Uranium presented its own study that it said countered those findings. 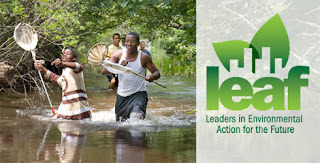 First there was The State of Environmental Justice in America Conference as the original successor to the 1st & 2nd National Environmental Justice Conferences in 1992 and 2002. The State of Environmental Justice in America Conference is in its 6th year when it convenes in Washington, DC from April 3-5, 2012. The State of Environmental Justice in America Conference evidently spawned a breakaway conference called The National Environmental Justice Conference and Training Program, which is being bankrolled by the U.S. Department of Energy (DOE). DOE had been a sponsor of the State of Environmental Justice in America Conferences until it decided to duplicate the original conference. 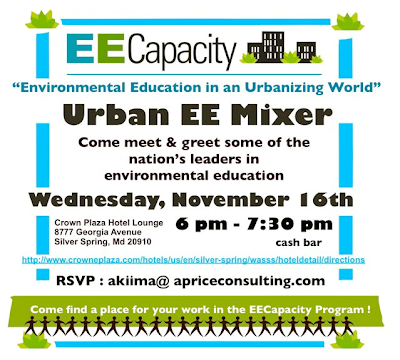 The DOE conference is one week after the State of Environmental Justice in America Conference. Both conferences are calling upon representatives from federal and state agencies, local governments, tribes, community groups, businesses small and large as well as public interest groups, academia and other entities to participate. "...now in its sixth year, reorganized, selected a new conference coordinator and changed the conference name." The 6th year claim is inaccurate. It is the first year of the DOE conference. 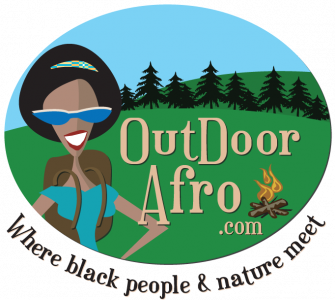 The original grassroots-sponsored conference is in its 6th year. The DOE conference can change the conference name and can claim to have reorganized, but it should not claim in any way that 2012 is the 6th year of the conference. There is plenty of room for environmental justice conferences. The more conferences the better. This vitally important issue needs to get all of the attention it can. However, a breakaway conference should in no way attempt to take credit for the the hard work put into the previous EJ conferences. The Coalition For Change, Inc. (C4C) today announced recent updates to its Responsible Management Officials (RMO) page. The civil rights advocacy group, founded to support present and former federal employees injured due to workplace discrimination and retaliation, is shining the spotlight on public officials who have been named in employment discrimination complaints. Listed below are the names of some “responsible management officials” found on C4C’s RMO Facebook site and the agencies these public officials worked for when the complaint was filed. • Jana Brooks, Department of Commerce -- (Lee v Locke) Civil Action No. 11-0358; Lawsuit pending. Office of Special Counsel (OSC) investigation completed. OSC File No. DI-10-0454 - An Investigation found Ms. Brooks guilty of “mismanaging” asbestos conditions. • Debbie Ridgely, Health and Human Services -- Former Director, Office of Small and Disadvantaged Business Utilization (Holmes-Martin v. Sibelius) Civil Action No. 07-2128. • Anne Wagner, Government Accountability Office (GAO) -- Former General Counsel, Personnel Appeals Board, presently Vice-Chairman of Merit Systems Protection Board. (Williams v. Dodaro) Civil Action No. 1:07-CV-1452. Trial: February 2012. C4C’s RMO Page lists approximately 180 key management officials. “While not all management officials cited have been proven guilty of alleged acts of discrimination or reprisal,” says C4C’s President Taylor, “all have been named in complaints representing a failure to resolve employment claims expeditiously, at the lowest level of the administrative level and in the best interest of the taxpayer.” Taylor added that the complaints had withstood various agency attempts to quash them at the administrative level or in court, and were considered to have merit. 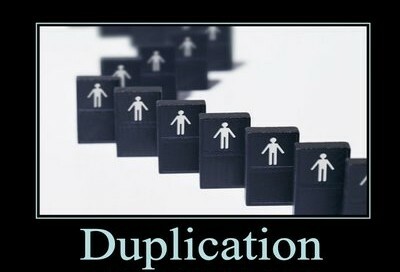 The Equal Employment Opportunity Commission reported that findings of discrimination totaled 233 in FY2010. This included both final agency decisions and EEOC administrative judge decisions. See Table 15: FY 2010 Complaints Closed With Findings of Discrimination. About the C4C: The Coalition For Change, Inc. (C4C), a public interest group, serves as an informational support network for present and former Federal employees injured as a result of workplace discrimination. 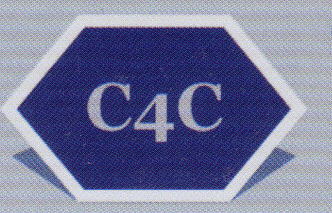 The C4C’s mission is to expose and eradicate racism and reprisal in the Federal government, thus fostering efficiency, effectiveness and transparency in Federal programs and operations. 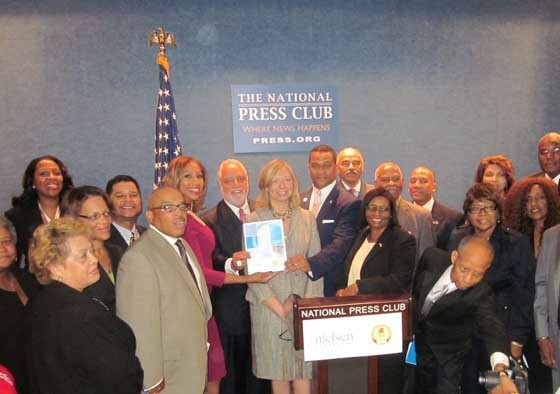 The National Black Chamber of Commerce (NBCC) has joined forces with other organizations in an attempt to stop the Environmental Protection Agency (EPA) from enacting the Utility MACT Rule on utility companies. The NBCC believes this would have a devastating financial impact on suppliers who do business with various utility companies and would also have a very negative impact in terms of job loss. EPA’s fundamental assumption that utilities would be able to implement its Utility MACT Rule’s requirements within three or four years, without impairing electric reliability, is contradicted by a wealth of evidence arising after the close of the comment period in this proceeding. In testimony before FERC on November 29 and 30, 2011, representatives of utilities, regional transmission organizations (“RTOs”), state public utility commissions, and the FERC-designated Electric Reliability Organization (i.e., NERC) presented extensive evidence that the three-year compliance timeline for EPA’s Utility MACT Rule will cause widespread violations of NERC’s reliability standards, jeopardizing electric reliability in communities throughout the nation. In light of this evidence, EPA may not continue to rely on its assumption that compliance would be feasible and reliability therefore unimpaired. Accordingly, the Agency’s exercise of discretion in reliance on that assumption is arbitrary and capricious and subject to judicial vacatur. In addition, this evidence of impossibility also renders the Utility MACT Rule arbitrary and capricious, as well as contrary to the requirements of the Clean Air Act. This same evidence also demonstrates that the Utility MACT Rule is incompatible with the requirements of the Federal Power Act (“FPA”) because it will require the shutdown, whether permanently or temporarily, of facilities necessary to meet NERC’s reliability standards, which are enforceable under the FPA. This conflict undermines EPA’s exercises of discretion within the Utility MACT Rule that cause or contribute to the violation of FPA requirements. Accordingly, this evidence that utilities cannot implement the requirements of the Utility MACT Rule while maintaining compliance with FPA requirements regarding reliability demonstrates, at the least, that the Utility MACT Rule is arbitrary and capricious and exceeds the Agency’s discretion. If these defects cannot be corrected, that indicates that EPA’s decision to impose MACT requirements exceeded the Agency’s discretion under the Clean Air Act. A nationally regarded research chemist and a Professor of Chemistry and Environmental Toxicology, Dr. Wilson excels at inspiring and encouraging his students to achieve at the very highest levels: He has so far mentored 19 Ph.D.s from the United States who are from underrepresented groups in STEM, including eight African American males and 11 African American females. In a letter of nomination, Dr. Martin V. Bonsangue, Professor and Vice Chair of the Department of Mathematics at California State University at Fullerton, noted that a total of 24 African American students in the United States received doctoral degrees in disciplines linked to environmental engineering technologies during the period from 2000 to 2009. Nine of those students—more than a third of all those across the nation—were Dr. Wilson’s students. Over the years, Dr. Wilson also has served as a program director for institutional support programs at the National Science Foundation (NSF). His activities have included, for example, service as Principal Investigator and/or Co-Principal Investigator for two major NSF programs in the Houston area: the Houston Louis Stokes Alliance for Minority Participation, and the Texas Southern University Historically Black Colleges and Universities Undergraduate Program. 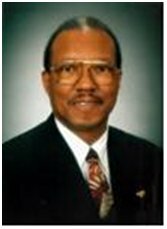 Dr. Wilson earned his Bachelor’s degree in chemistry from Alabama State University. 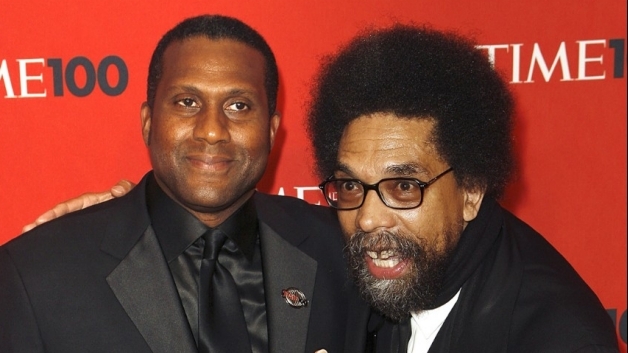 Then he obtained his Master’s degree from Southern University. He received a Ph.D. degree in chemistry from Michigan State University in 1976. His many honors have included being named Texas Southern University Researcher of the Year in 1988, and receiving the First White House Initiative Faculty Award for Excellence in Science and Technology in 1988. He also has received an Outstanding Teacher Award from his institution, and he is a Fellow of the American Chemical Society, the American Institute of Chemists, the Texas Academy of Science, and the American Scientific Institute. Not only is he an ASI Fellow of the African Scientific Insitute, Dr. Wilson is an active member of many professional organizations, including the Beta Kappa Chi Honor Society and the National Organization for the professional advancement of Black Chemists and Chemical Engineers (NOBCChE). He served as Regional Chairman of NOBCChE from 1978 until 1996, and he is now Chairman of the Executive Board of NOBCChE. Established by the AAAS Board of Directors in 1991, the AAAS Mentor Award for Lifetime Achievement recognizes individuals who have, for more than 25 years, mentored significant numbers of underrepresented students (women, minorities, and persons with disabilities) toward the completion of doctoral studies and/or significantly affected the climate of a department, college or institution, or field in such a manner as to significantly increase the diversity of students pursuing and completing doctorates in the sciences. Also considered are nominees’ demonstrated scholarship, activism and community building. The award includes a monetary prize of $5,000, a commemorative plaque, and complimentary registration for the AAAS Annual Meeting. hat during a Nov. 30 ceremonial groundbreaking. Officials broke ground Nov. 30 on a new 60,520-square-foot, single-story green building located at 7302 Webster Lane in Fort Washington, Maryland. The new building with environmentally friendly features is scheduled to open by January 2013, with construction starting in January 2012. Principal Dianne G. Bruce said the school’s current enrollment is 342 students, with about 22 teachers. The new building will be able to accommodate 449 students and 53 teachers. The total cost for the project is about $19 million, with the state contributing about $6.6 million, or 35 percent of the costs, with the county paying for the rest. The new building will be designed to achieve Leadership in Energy and Environmental Design Gold certification. LEED is a voluntary standard to support and certify successful green building design, construction and operations. LEED Gold certification is the second-highest level of achievement out of four levels — platinum, gold, silver and certified — with platinum being the highest. The new school will serve prekindergarten through sixth grade. In 2008, the Maryland General Assembly passed a law that requires all school construction to meet LEED silver or gold standards. Rankings are determined using a 100 base point system in categories such as water efficiency, sustainability, and energy and atmosphere. 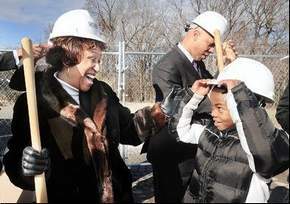 Avalon Elementary is being housed at the former Middleton Valley Elementary School site in Temple Hills at 4815 Dalton St., about three miles from the new school site, while construction is taking place. New census statistics show the income gap between whites and blacks living in the District is one of the widest in the country. That stands in stark contrast to the Washington suburbs, where the gaps have become some of the nation’s narrowest. The per capita income for whites in the District is more than triple what it is for blacks, and the difference has only widened since 1990. In several suburbs, including Prince George’s, Loudoun and Stafford counties, incomes for blacks and whites are closer than ever, and today whites earn $1.30 or less for every $1 that blacks earn. Demographers and city activists say the difference reflects four decades of upper- and middle-class blacks abandoning the city for the suburbs, coupled with a more recent resurgence of affluent whites moving to the District. Nationwide, the gulf between black and white incomes is pervasive. It exists in every one of the 700 counties with significant black populations, according to census numbers that are to be released Thursday. For every $1 in black income, white per capita income ranges from a low of $1.04 in mid-Michigan, near the capital of Lansing, to a high of $4.15 in Manhattan. Although the Washington area’s individual jurisdictions are at one extreme or another, as a whole the region falls somewhere in the middle of all metropolitan areas. 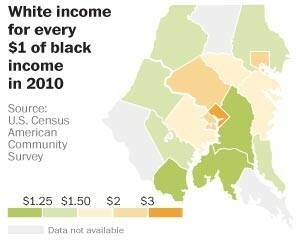 Whites in the area have per capita incomes of $1.80 for every $1 that blacks earn. 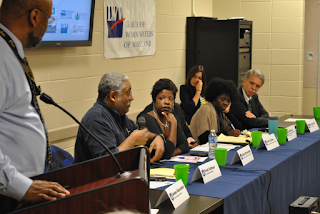 The narrowest gap is in Stafford County, where white income is $1.18 for every $1 for blacks. The disparity persists even though many Washington suburbs boast some of the highest per capita incomes for blacks in the nation. Of the top 20 counties for black income, 10 are around Washington. African Americans in the suburbs are in the vanguard of minorities who are moving closer to achieving income parity with whites. The high income levels to federal jobs, which have long been equal-opportunity positions, even during recessions. Maryland Senator Catherine Pugh of Baltimore City heard vocal support for offshore wind power from dozens of her constituents and an array of local Baltimore organizations and businesses at a packed town hall meeting Nov. 30th at Saint Mark's Church. 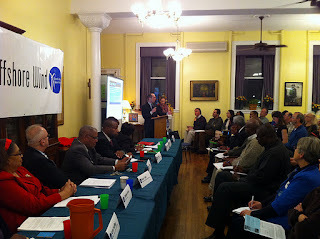 This town hall comes just a few weeks before the start of the 2012 General Assembly session in which Gov. Martin O'Malley will promote a bill to tap the power of wind blowing off Maryland's Atlantic coast. 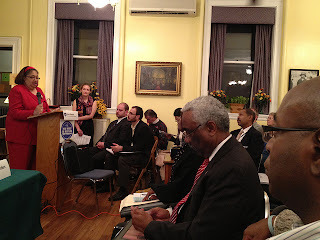 Senator Pugh (D) sits on the Senate Finance Committee which will review this legislation. 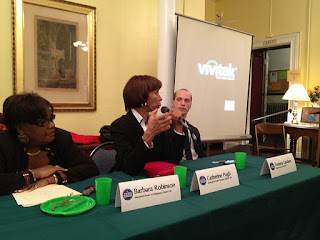 Senator Pugh was joined by her colleague in the House of Delegates, Del. Barbara Robinson, and a variety of panelists who spoke about job creation, health benefits and climate change reduction that offshore wind power can provide. 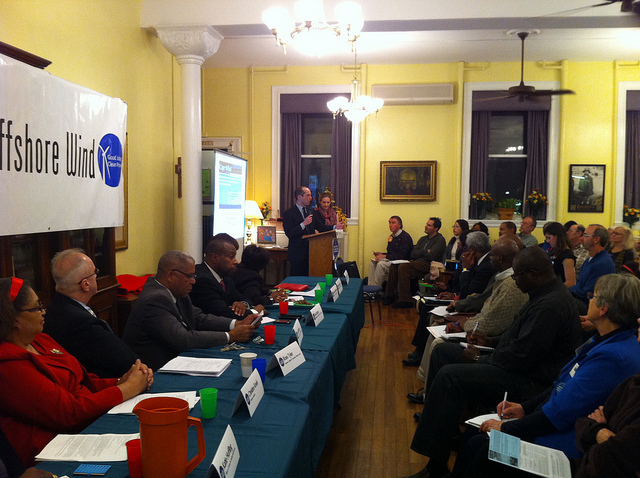 The District 40 town hall meeting on offshore wind power in Baltimore, November 30th. One moderate sized offshore wind park would create 2400 jobs, and there are over 1000 Maryland businesses, employing over 30,000 workers, that could participate in offshore wind development. Christine D. Keels, a 30-year Baltimore resident with severe asthma, spoke emotionally about her yearly hospitalizations and complications from asthma over the last decade and highlighted the importance of Maryland moving toward a clean energy future. With offshore wind, Maryland families will save over $4 billion over 25 years by preventing premature deaths. Marylanders cannot afford to continue paying higher medical bills for asthma attacks, emergency room visits, and lung disease. 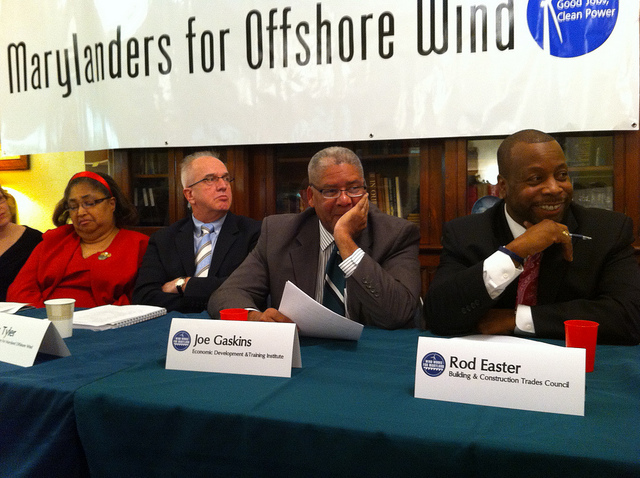 Maryland cannot meet its statutory clean energy standards without offshore wind power. The state's renewable electricity standard and the carbon reduction standard are required by historic acts of the General Assembly. Offshore wind energy will help to meet these responsibilities. 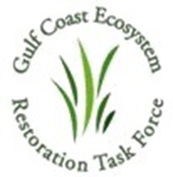 The Gulf Coast Ecosystem Restoration Task Force today released its final strategy for long term ecosystem restoration for the Gulf Coast, following extensive feedback from citizens throughout the region. EPA Administrator and Task Force Chair Lisa P. Jackson, partnering with Task Force Co-Chair Garret Graves, made the announcement today during keynote remarks at the 2011 State of the Gulf of Mexico Summit in Houston. 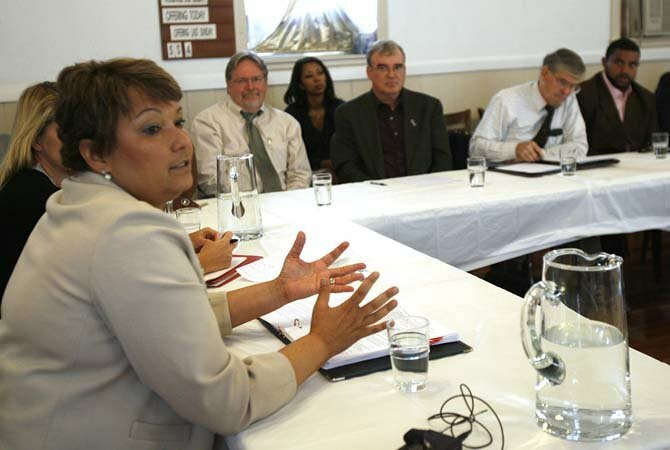 Administrator Jackson was joined by National Oceanic and Atmospheric Administration Administrator Jane Lubchenco, Council on Environmental Quality Chair Nancy Sutley, USDA Under Secretary for Natural Resources and Environment Harris Sherman and several other Task Force members. With the release of the final strategy today, the Task Force marks the beginning of the implementation phase of the strategy by announcing new initiatives, including $50 million in assistance from the U.S. Department of Agriculture’s Natural Resources Conservation Service to help agricultural producers in seven Gulf Coast river basins improve water quality, increase water conservation and enhance wildlife habitat. USDA's multi-year environmental restoration effort, known as the Gulf of Mexico Initiative, or GoMI, represents a 1,100% increase in financial assistance for Gulf priority watersheds. The Purpose of The National Republican African-American Caucus (NRAAC) is to create an organization that is comprised of people of spirit and faith within the African American community, that works in conjunction with local, state and national party efforts to embrace, and offer African-American Republicans opportunities for inclusion and involvement in the Republican Party, and builds bridges between the African-American community and the Republican Party. 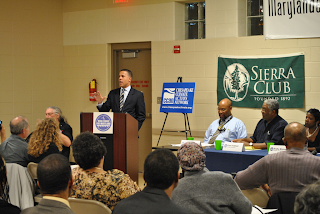 On Wednesday, Nov. 9, a capacity audience from south-central Prince George’s County packed a town hall meeting in Temple Hills to ask questions and show support for proposals to develop an offshore wind power industry in Maryland. The attendees – numbering over 100 and hailing from state districts 24, 25, and 26 -- were especially interested in the jobs and health benefits of offshore wind as well as the prospects for lower, long-term electricity bills from this non-fossil fuel source of power. 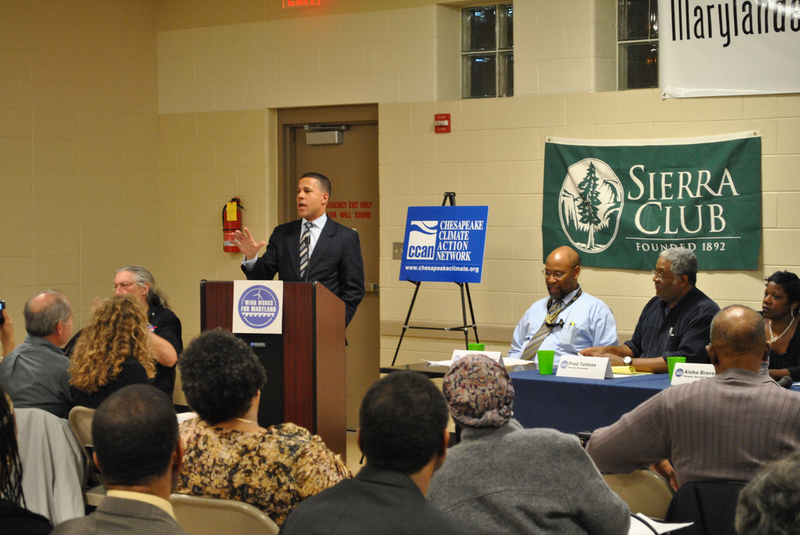 Lieutenant Governor Anthony Brown, who kicked off the event at the Hillcrest Heights Community Recreation Center, passionately explained that he and Governor O’Malley believe offshore wind is an important component of Maryland’s energy future. Other speakers at the town hall included Delegate Aisha Braveboy (D-District 25); Kari Fulton, Director of the Environmental Justice and Climate Change Initiative; Fred Tutman of Patuxent Riverkeeper; Tom Carlson of the Chesapeake Climate Action Network; and Mike Kutzleb, President of Phoenix International, a PG County-based underwater engineering business that plans to hire workers to help build future offshore wind farms in Maryland. 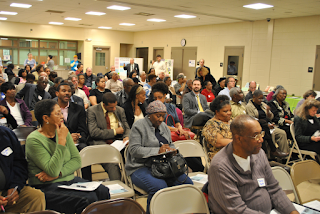 Community members seemed particularly impressed by the health and environmental benefits of the wind project. Kari Fulton of EJCC spoke passionately about the need for urban communities to engage in efforts to build a new clean-energy economy. Fred Tutman, with Patuxent Riverkeeper, discussed the harmful environmental and health impacts of current DC-area power plants that burn massive amounts of dirty fossil fuels. Tutman singled out PG County’s Chalk Point coal plant, which in recent years has experienced multiple violations of federal pollution laws. Panelists also explained that these jobs and the $4 billion is anticipated savings on Maryland health costs more than outweigh a potential small initial increase in ratepayers’ bills. Indeed, a recent poll showed that nearly 70 percent of voters in Maryland’s D.C.-area suburbs favor spending up to $2 per month to help develop a new wind-power industry in the state that reduces fossil-fuel use. Jerome Ringo Joins BARD Holdings, Inc.
BARD Holding, Inc, a clean-technology development and production company based in Morrisville, PA, has announced that leading environmental advocate Jerome Ringo will serve as the company’s Chief Business Officer. 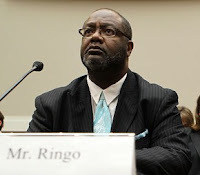 Previously, Ringo served as CEO of Synergy Global Development, was the first African American to head the National Wildlife Federation board of directors and was president of the Apollo Alliance. BARD sees itself as a steward of algae technology. BARD built its first commercial scale pilot plant for algae production system and algae oil extraction system in Bucks County at Morrisville, PA. BARD has also established several commercial scale algae production plants in Calhoun, GA; Dalton, GA; Augusta, GA; Milledgeville, GA and Detroit, MI. Further, it is expanding to Sarnia, Canada and Ahmedabad, India.